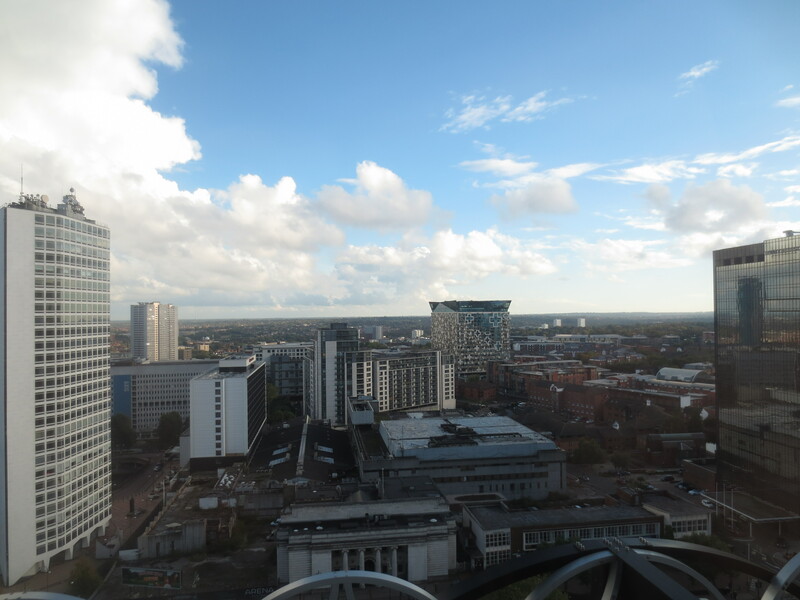 It’s always a great pleasure to head up to Birmingham to spend a weekend with my lovely daughter, Nicola. It has to be said it wasn’t quite such a pleasure having to get up at 6.30 on Saturday to arrive in time for an appointment with a wedding dressmaker – yes Nicola and Rachael are getting married next year – at 10.00 in central Birmingham. But well, this is what mothers do and it turned out to be great fun, especially as we were looking at rather funky, unconventional dresses. Thankfully my future daughter-in-law’s coffee addiction matches mine so after this we all went in search of flat whites. Then funky wedding dresses were to be followed by Middle Eastern art. Nicola’s friend, Rebecca (Dr Rebecca Bridgman) is the Curator of Islamic and South Asian Arts at Birmingham Museum & Art Gallery. 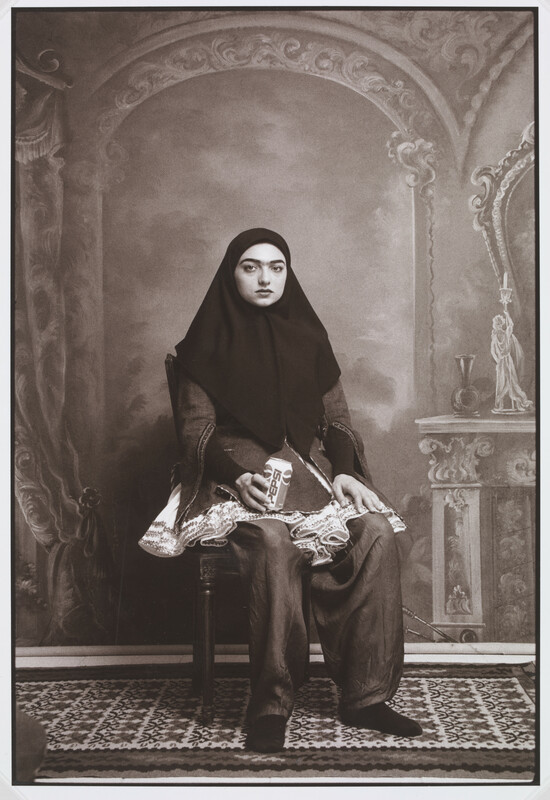 She’d offered to give us a personal curator tour of True to Life – New Photography from the Middle East and Symmetry in Sculpture: Recent Work by Zarah Hussain. I often go on curators’ tours of major exhibitions at the Tate but it was nevertheless especially exciting to go on such a personalised tour: Rebecca taking round just Nicola, Rachael, Anna and me. 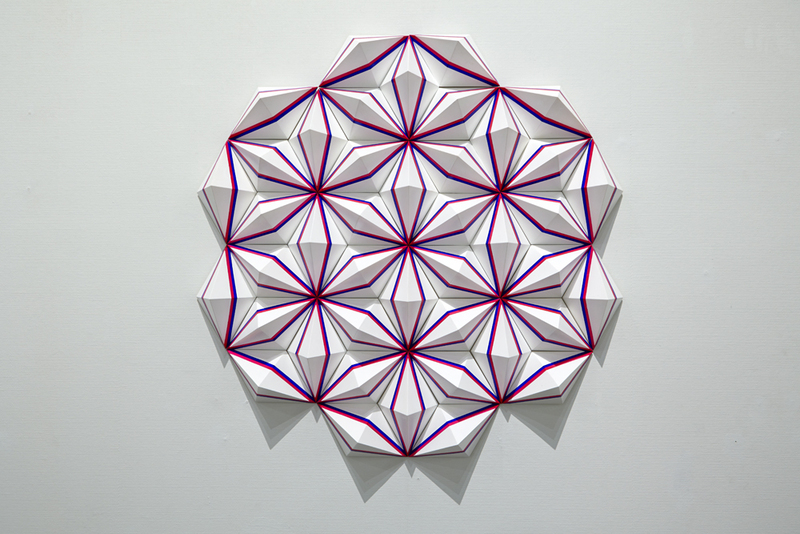 Firstly, we looked at Zarah Hussain’s work: her sculptures are based on the geometric designs used in Islamic art. Her 3-dimensional wall sculptures looked almost like origami suspended from the walls; very simple at first glance but with Rebecca’s knowledgeable and enthusiastic background description, the rest of us were able to appreciate them in a way that might have passed us by without her. We all loved them and played with moving ourselves close and then further away to catch the play of light on the surfaces. Moving on to the photography exhibition, we saw some wonderful and teasingly challenging photographs by contemporary and internationally acclaimed Middle East artists. It was definitely time for lunch when we emerged from the museum. Outside it was heaving with people. 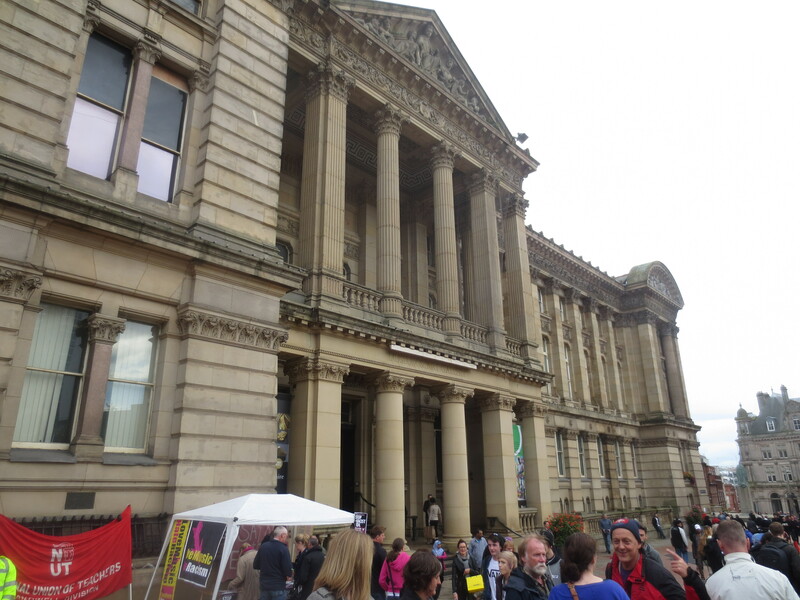 There was a big anti Muslim demonstration in the city, rather inevitably matched by an anti fascist demonstration. Large numbers of police were around. Fortunately, all was peaceful and we were able to make our way round the edge of the crowds to our lunch destination in Broad Street. In keeping with our morning of art, we were heading for an Iranian restaurant: Khayyam. Rebecca had heard of it and Nicola had been told about it by her Iranian hairdresser. It was a bit tricky to find – mainly because you had to go right through a kebab takeaway to doors at the back that led into Khayyam. Inside, they looked to be setting up for a big party but said we could take a table. I’ve cooked Iranian food but never eaten it in an Iranian – or Persian – restaurant before so it was quite exciting. We chose a selection of dips – aubergine, hummus and spinach & yogurt to share with bread to begin. 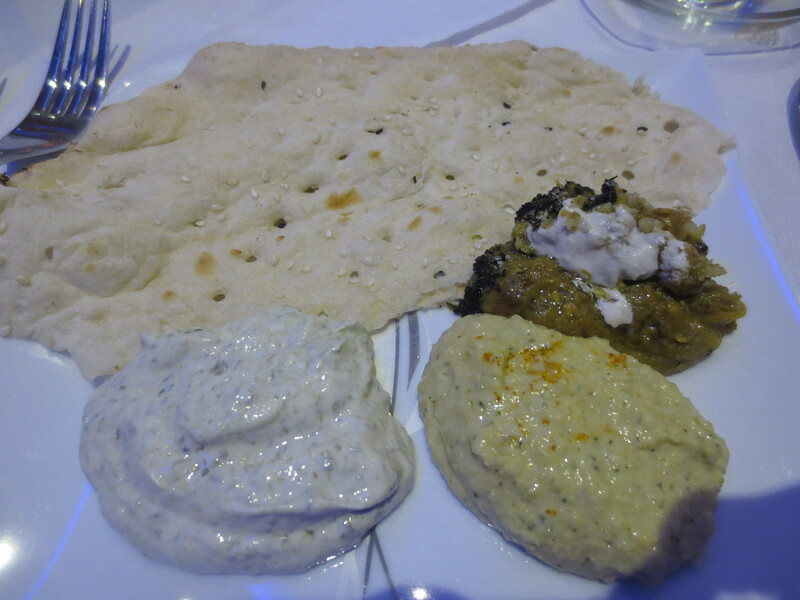 The dips were great: I especially liked the aubergine and the fabulous flat bread. 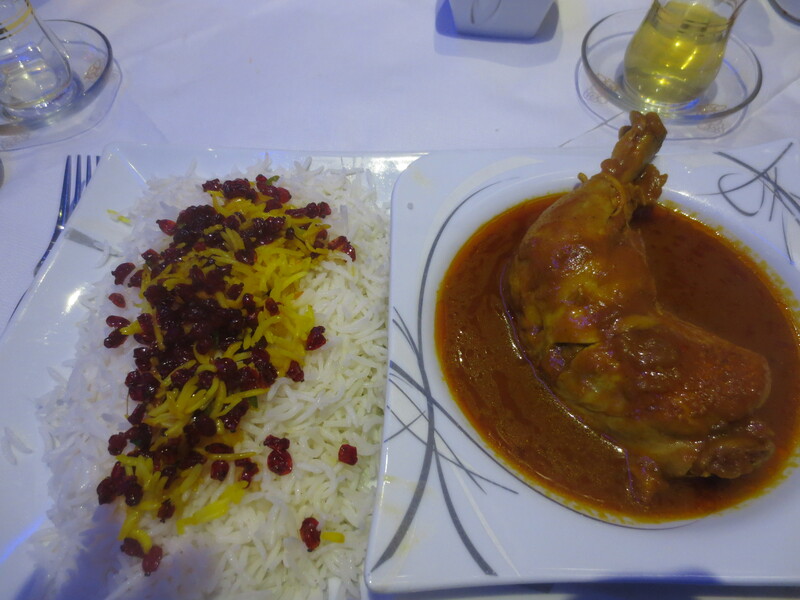 My main course choice was a delicious chicken dish served with barberries and saffron rice. After lunch we parted company with Rebecca, Anna and Linda (who had joined us at the restaurant). 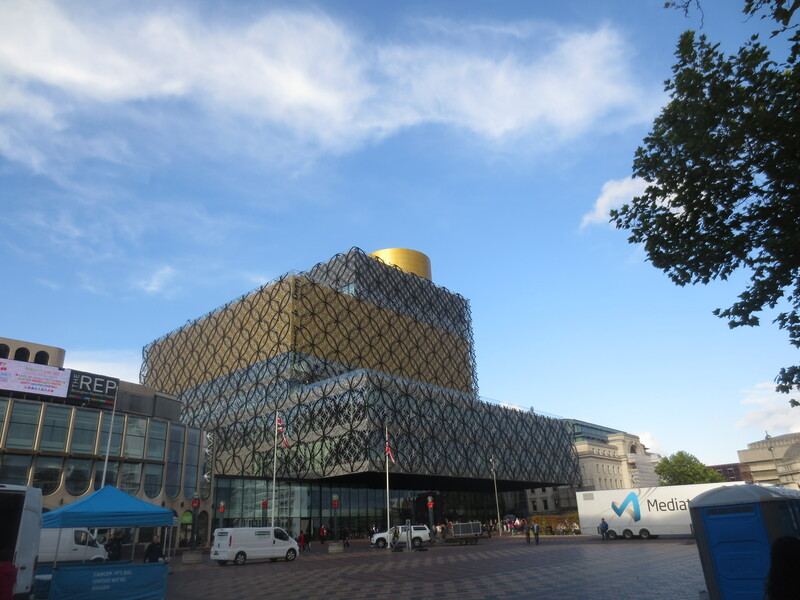 Nicola, Rachael and I went on to the Library of Birmingham. 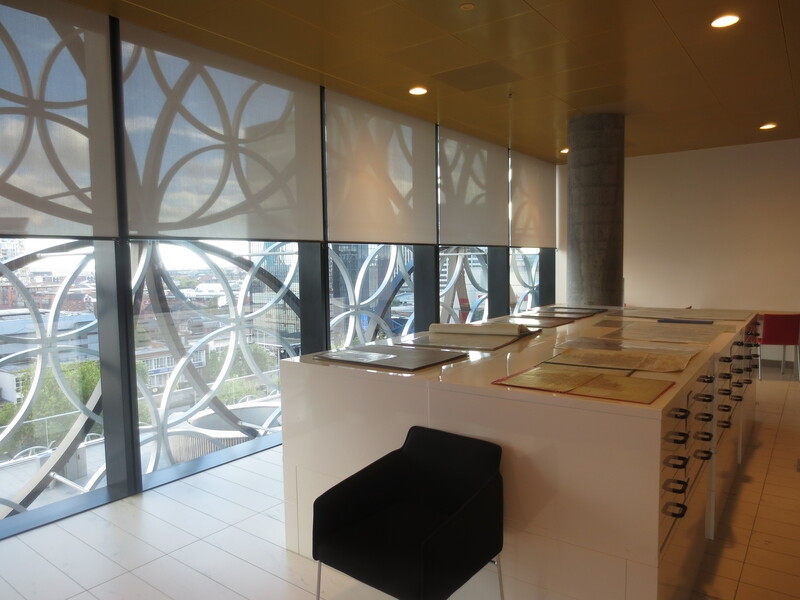 This incredible and exciting building, designed by architect Francine Houben, was opened in April 2013. 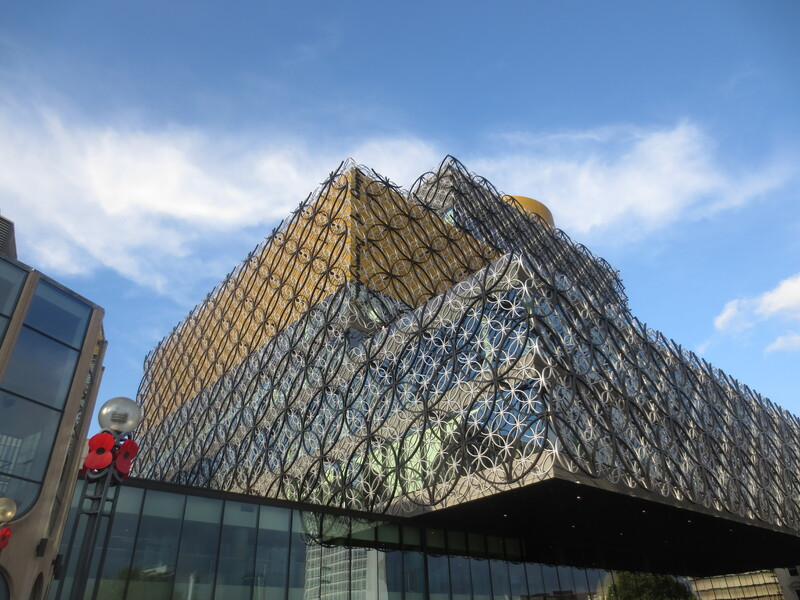 It’s been shortlisted for the RIBA Stirling Prize 2014 – and you can see why. Surprisingly, ‘my girls’ hadn’t been inside it yet so it was a first for all three of us. Inside it’s very impressive, reaching right up in the centre to its top and creating a wonderful space of light and calm. 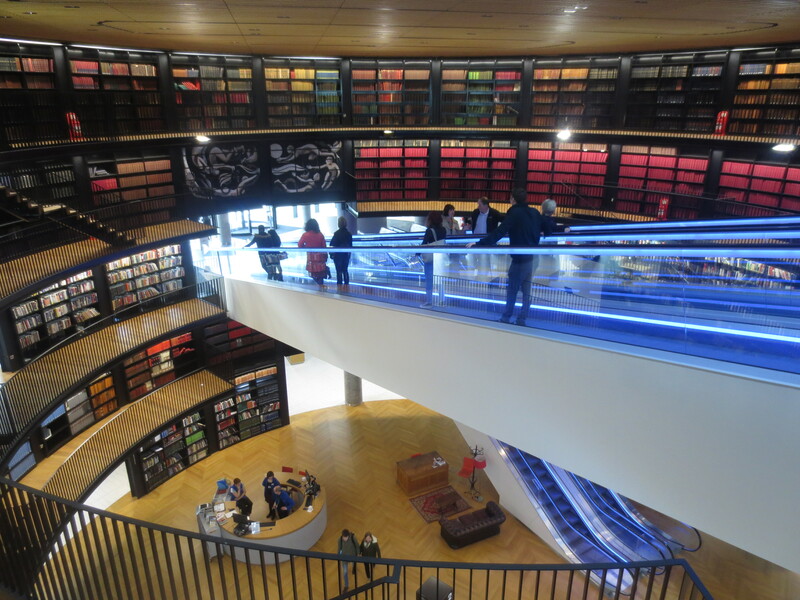 You expect calm in a library and here that is achieved, I think, by the sense of flow created by the gliding escalators, the colours, the different ‘layers’ and the slightly warren effect of smaller and larger areas that you move through. At the top, we couldn’t go outside because of the demonstrations below, but still the view was great. We’d arrived just before they closed at 5pm and were ushered out fairly quickly, but I’m so pleased to have seen it. What a fantastic building! And what a busy but very exciting day! We headed home to Nicola and Rachael’s house. A pot of tea was made. Nicola began making a Melanzane alla Parmigiana for supper; I was summoned to be sous chef. Later prosecco was opened and we finished our full-on day with a light but delicious meal and some fizz. The weekend’s excitement wasn’t quite over though. 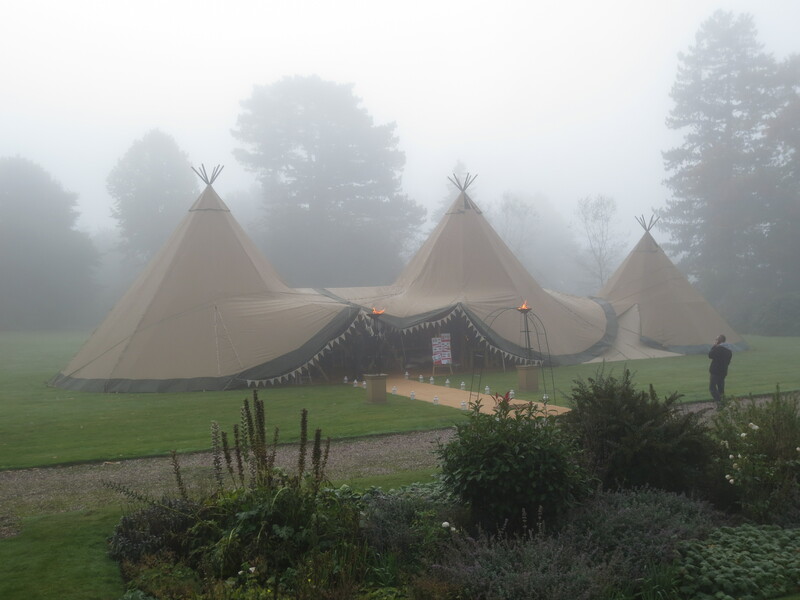 Next morning we were up fairly early to head north to Staffordshire to see some tipis. So many interesting things to see. I am intrigued by the art exhibit and the architecture of the recently opened building. It was a brilliant day. So many exciting things! wow amazing awesome All images are very beautiful i really liked your articles nice work keep it up.